When Kristin Darby first considered the CIO position at Cancer Treatment Centers of America, she was intrigued by idea of being able to dip deep into cancer research and leverage technology to improve outcomes. But what really drew her in was the organization’s focus on patient-centered care and its commitment to innovation. Just over a year in, Darby is long past the getting her feet wet stage. As part of CTCA’s ultimate goal of personalizing cancer care, her team is rebuilding the analytics platform to more effectively harness data, and is utilizing the portal to educate and empower patients. In this interview, she talks about these projects, as well as how rounding has dramatically increased staff engagement, and how she manages the juggling act of being a CIO with two young children. The idea is to have a very integrated approach that offers services beyond the standard treatments that patients often receive when they’re receiving cancer care, and that provides a better experience for the patient. When you can see people, so much of the body language is communicated in ways that you don’t necessarily get on the conference calls. I think that that helps us maximize the engagement and participation in meetings. Cancer is a very personal disease. Everyone’s journey is different. It’s important that we personalize that journey for every one of our patients in a way that resonates best with them. When a patient comes to us, we don’t defer the decisions being made around their care just to the care team. The patient is brought into every single discussion and it’s surrounded around the records, the results, what we’re seeing, and that the approach is incredibly personalized to them. What we do is always try to have that communication in person. The level of personal intimacy that we deliver at the CTCA I will say is something that, I’ve been in healthcare for 20 years, is something that I’ve never experienced at other provider institutes. But the goal is that the care team. 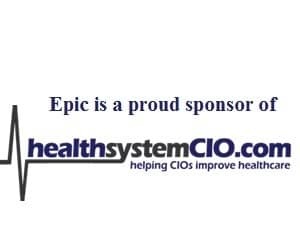 Gamble: Hi Darby, thank you so much for taking some time to speak with healthsystemCIO.com. Darby: You’re welcome. Thank you very much for having me. Gamble: Sure. To get us started, can you just talk a little bit about Cancer Treatment Centers of America, in terms of number of hospitals, where you are located, things like that? Darby: Absolutely. Cancer Treatment Centers of America is an adult cancer treatment facility. We have five locations across the United States, in the Atlanta, Georgia area, just south of there in a city called Newnan; in the northern Chicago suburbs in Zion, Illinois; in Philadelphia; in Phoenix, Arizona — we’re actually in the western suburb of Goodyear; and Tulsa, Oklahoma. Those five hospitals are focused on providing an integrated approach to cancer care. So in addition to the traditional medical approach, we also try to offer very much a holistic offering to our patients. For example, if a patient is having side effects with cancer treatment, we have naturopathic care that’s available for them where they can meet with naturopathic physicians to discuss possibly organic dietary changes that might help them with side effects that they’re managing throughout treatment, or possibly pain management, maybe through different types of chiropractic care. We have a variety of services that are offered, but the idea is to have a very integrated approach that offers services beyond the standard treatments that patients often receive when they’re receiving cancer care, and that provides a better experience for the patient and really focuses on maximizing their engagement. We believe very much that the patient is the active leader of their care. They’re part of the care team and integrated in all the discussions and decisions, and very much empowered where we want to make sure they’re educated and understand what’s happening with their care in a way that they can best guide what’s best for them. Our goal is to make sure that the services that are important to them as an individual for their particular journey are available to them to compliment their personal battles against their disease, and we’re there very much to support them in a very personalized way. Gamble: You have five hospitals. Are there other ambulatory facilities that fall under the umbrella? Darby: We do not have any ambulatory facilities at this time with our five facilities. We treat predominantly outpatients at our facilities and then we also have inpatient facilities, but most of our patients travel to us for treatment, and within our hospital facilities we actually run guest services offices. So we have basically our own hotel system where individuals can stay with us on campus even though they’re in an outpatient setting, and stay at more of the hotel setting and utilize the services that are on sight at the Cancer Treatment Centers of America Campus. We also have partnership agreements with local hotels where if the patient is staying off campus, we provide shuttle service to ensure their transportation needs are met. They have access to entertainment options in the area and they can stay the day while going through their treatment if they are staying with us from out of town. Gamble: And now you’re located in Phoenix. As far as how Cancer Treatment Centers of America is structured, is the corporate office is there, or is it spread out among the facilities? Darby: We recently relocated our corporate presence from Schaumburg, Illinois to Boca Raton, Florida. The corporate office and many of the back office functions are located in Boca Raton, and some of those are actually still in the process of transitioning. My peers and I report into Gerard van Grinsven, who is president and CEO of Cancer Treatment Centers of America. He’s also based in our Boca Raton office, so I do have an office location there, but I live in my primary office which is located in the Goodyear, Arizona location of CTCA. The reason that my primary base is in the Goodyear area is the largest presence of our information technology team is located at this location. We have about 125 team members in Goodyear. The remaining portion of our IT team is distributed across our other four hospitals and our corporate location in Boca Raton, and then we still have a presence in Schaumburg, Illinois also. Gamble: So I imagine there’s are a lot of communication, even if it’s not done in person, among the different IT teams. Darby: Absolutely. We try to stay very connected and we’re heavy users of video conferencing. We try to do that from within the IT team but also the majority of our business meetings are conducted that way to make sure that we always have that personal connection. When you can see people, so much of the body language is communicated in ways that you don’t necessarily get on the conference calls. And so I think that that helps us maximize the engagement and participation in meetings, but also the personal connections that are so important to having conductive relationships and actually productive meetings. Gamble: Definitely. Now in terms of the clinical application environment, what type of EHR system are you using? Darby: We use Allscripts Sunrise Clinical Manager. Darby: It has. It was implanted in 2008. We use Allscripts Sunrise Clinical Manager for outpatient and inpatient services. Gamble: In terms of Meaningful Use, where do you stand at this point with the attestation? Darby: We are on the Meaningful Use journey and stage 1 we are compliant with. We have not attested to yet primarily because of the CMS delay where their website is down. But we’ve already completed our reporting period and we’re in progress with stage 2, which we’re very close to being ready to reach our reporting period for that also. Gamble: With stage 2, one of the key components is patient engagement and hitting the numbers, so I wanted to talk about your strategy there. You touched a little bit about how the philosophy at CTCA to see the patient as really being part of the care team. I wanted to talk about your strategy and how you guys are doing that. Darby: Absolutely. Really the entire philosophy that the culture of CTCA was founded around is putting the patient at the center. One of the ways that we operate has been through providing the mother standard of care. So it’s treating everyone that comes to our facility as you would want your mother to be treated — or your father, your loved ones, etc. That’s the expectation of every interaction that we have with our patients. So if you start with that and you start to understand that when somebody comes through our front doors, they really are entrusting us to help them fight and be successful in their fight against this disease. With that, we want to make sure that they have all the tools and information that we can provide to enable them to make the best decision for their particular journey. Cancer is a very personal disease. Everyone’s journey is different. It’s important that we personalize that journey for every one of our patients in a way that resonates best with them. So when we talk about engagement, one of the things that is important to us is that the patient is included in all points of communication, that they have visibility into their results, that our care providers are explaining those results to them in a way that the patient understands, and that all of their options that are available to them are very clearly understood, and the patient is empowered to make the decision that’s best for them. One of the other things that we heavily focus on is including the caregiver in those decisions if the patient has elected that. That’s very important because we recognize that the impact to the caregivers — whether it’s a spouse or a child or a parent that’s acting in that role — is often as significant as it is to the patient that’s going to the battle. They have very different experiences but both are extremely impactful. And so we want to make sure that everyone that the patient has identified to be engaged in those discussions is part of that discussion. In addition to that, you reference Meaningful Use and patient portal is one of those areas where Meaningful Use works to encourage patient engagement. We have a proprietary patient portal that we continue to enhance on a regular basis that has been Meaningful Use-certified. With that patient portal, our patients have the ability to also provide access to their caregiver. And if so, the idea is that the medical record belongs to the patient. That’s at the center of our belief, and so that patient is empowered to have access to the same information that the care team has. It’s their cancer battle, and we want to make sure they’re empowered with the information they need to make the best decisions in their care. From a technology perspective, we make sure that becomes the center of the conversation where we’re utilizing the tools that are available. Our utilization rate of our portal is roughly 85 percent of our patients. We have an unprecedented utilization, but it’s part of the culture that we really build around. When a patient comes to treat with us, we don’t defer the decisions being made around their care just to the care team. The patient is brought into every single discussion and it’s surrounded around the records, the results, what we’re seeing, and that the approach is incredibly personalized to them. What you find is once the patients start to understand, they start to recognize what they can do to be empowered as part of that care. So one of the things I talked about was the integrated approach that we take the care. Chemotherapy for example is one of the traditional medical approaches to treating hair. A patient goes to chemotherapy treatments. They can be compliant with their treatments, but there’s not a lot that they can do beyond being a compliant patient that adheres to that treatment protocol. But what they can do are things like modifying diet, possibly exercise, changing their rest pattern, doing different types of activities. Maybe it’s taking different types of nutritional supplements rather than prescriptions if something is causing side effects are pain. But it’s having all those different options available where the patient’s actually empowered to start doing things that change the way they feel and also change their emotional outlook. What’s very, very important is when people understand that they can actually participate in that process and they’re not 100 percent dependent on the care team and there are things that they can do that also contribute positively to their particular fight, they start to get empowered at a different level where they can start to make those changes that are truly going to contribute to the outcomes that they’re receiving in their particular journey against cancer. Gamble: When you talk about patients being including in all the communications, is some of this done through the portal or email? How is that done when it can’t always be in person with the care providers? Darby: That communication is through the portal. So when information hits our EHR, it also hits the portal. With a lab result, for example, the same time the physician receives it is the same time the patient receives it. Now, what we do is always try to have that communication in person. The level of personal intimacy that we deliver at the CTCA I will say is something that, I’ve been in healthcare for 20 years, is something that I’ve never experienced at other provider institutes. But the goal is that the care team, if they’re not physically with you or present with you — which the majority of interactions do occur that way — that they are available immediately to you via telephone to talk through and understand what has come back. We try to be very responsive in a prompt manner to ensure that the patient’s needs are being met as soon as possible. Our desire is to provide world-class service standard at all times with all patient interactions, and with that the goal is days count oftentimes in individual’s battles, and decisions have to be made promptly and behaviors can change things. We want to make sure that there is absolutely no delay; if the patient needs to understand something or potentially wants to make a change in the approach that they have toward that care, the provider will be available to discuss that with them.